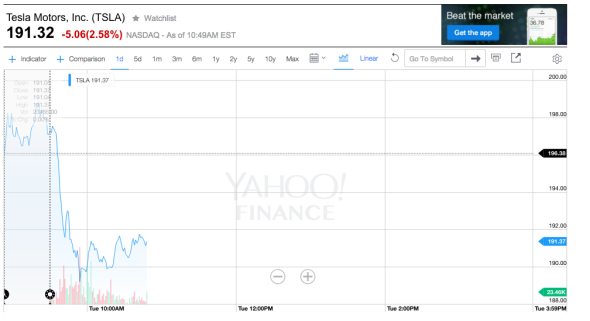 Tesla stock is getting battered. The vehicle’s “falcoln wings” posed an extra production challenge. Tesla shares are getting clobbered, down almost 20 percent this year after dropping another 3 percent on Tuesday to $191. That’s far from their 2014 peak of nearly $300. The basis for this was Tesla’s inability to deliver 4,000 Model X SUVs in the quarter. There are other reasons for the decline in January, most notably a move away from risky investments across the board. The question of deliveries is important to Tesla’s shareholders and is sure to be a big topic on next month’s earnings call. But it is also a question both the company and the analysts seem to get wrong. Last year, CEO Elon Musk provided ambitious guidance on deliveries—55,000 vehicles—that Tesla later had to dial back. Tesla, which will report its results next month, actually built about 500 Model X vehicles in total and delivered just over 200 in the fourth quarter. According to the automaker, it was producing roughly 250 Model X vehicles a week at the end of 2015—that translates into 1,000 a month and 3,000 a quarter, at least at the beginning of 2016. 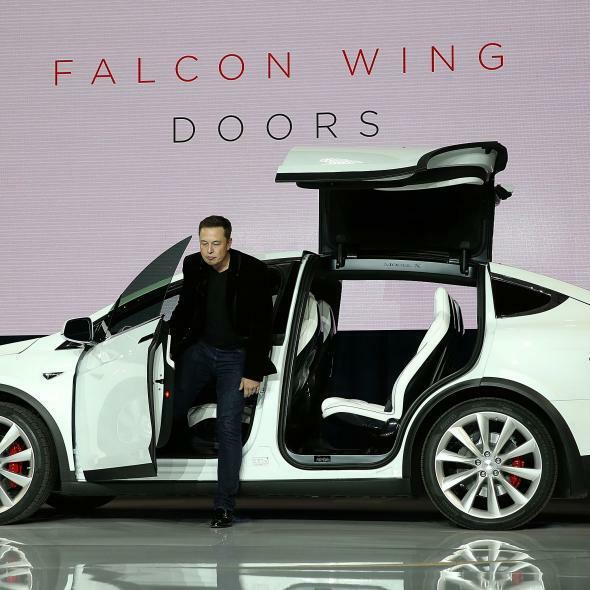 Tesla shares endured a volatile end to 2015, and we’ve learned that the launch of the Model X, while on schedule, wasn’t exactly easy: Both the vehicle’s rear seats and its exotic “falcon wing” doors presented significant production problems. But it wasn’t as if Tesla was going to crank out more than 1,000 Model X vehicles a month immediately after launch. It’s hard to understand how JPMorgan thought such production levels could be achieved, especially given that Tesla needed to keep its other car, the Model S sedan, on track. Tesla just made its 2015 guidance for the full year’s deliveries, coming in at slightly more than 50,000. The vast majority of that was Model S vehicles. It’s possible that Tesla will be producing and delivering more than 1,000 Model X vehicles each month by the end of the first quarter of 2016. But it is not there yet. Unlike last year, Tesla is building and selling two vehicles, and one of them is a crossover SUV, currently the hottest segment in the auto industry. So if Musk says Tesla can deliver 75,000 to 100,000 vehicles in 2016, it may be withing reach—and the Tesla bulls will have their opportunity to see the stock recover from its latest plunge.